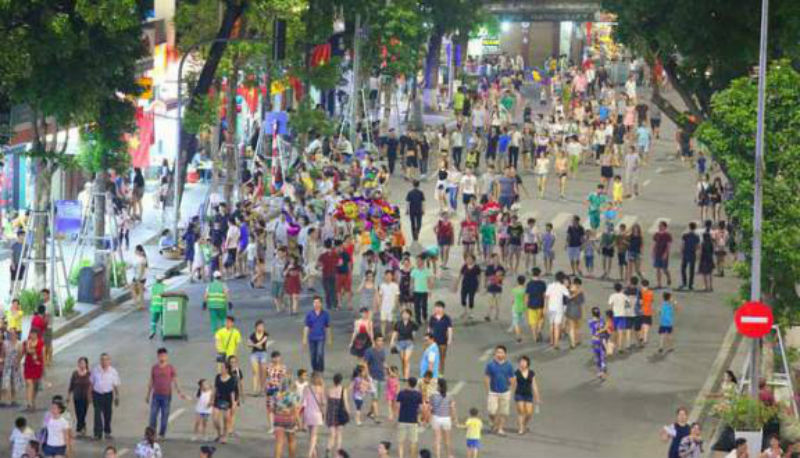 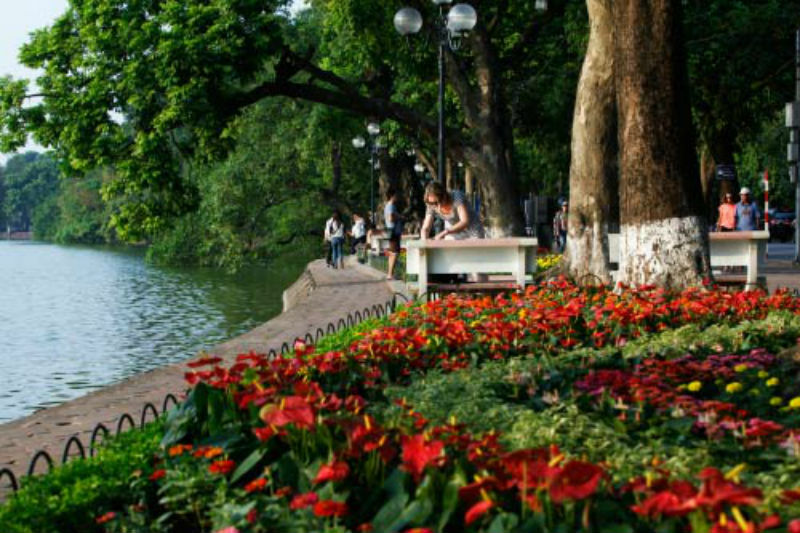 Nowadays, Hoan Kiem lake is still a gathering place yet Hanoi’s people may live too far to count their distance to the lake. 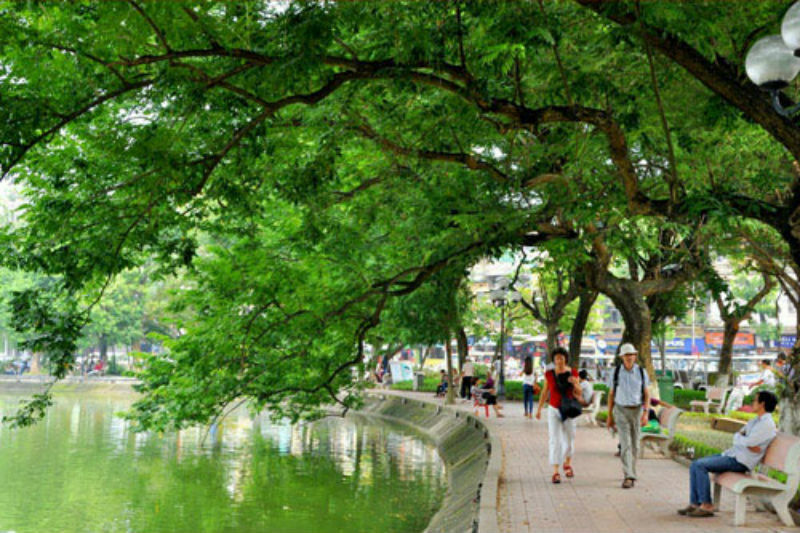 Still, as you walk, you will be able to witness the pace of life in this peculiar city. 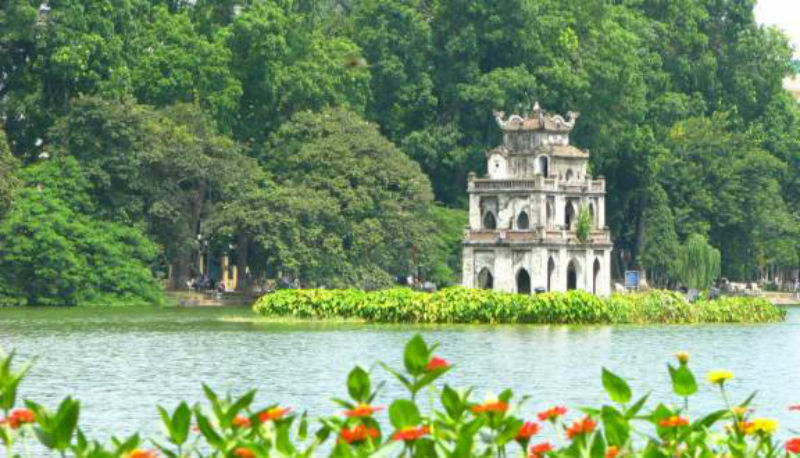 Now is some pictures about Hoan Kiem lake, the heart of Hanoi. 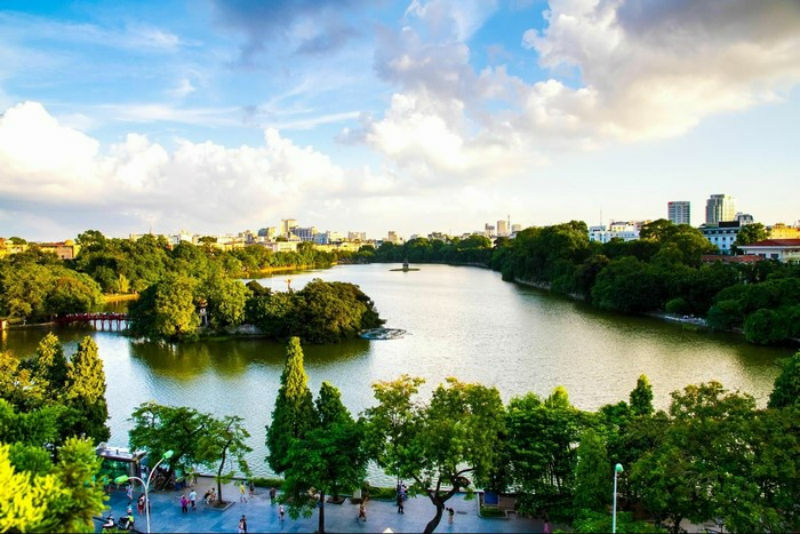 Hoan Kiem Lake is known for its tranquil, airy atmosphere in the heart of Hanoi. 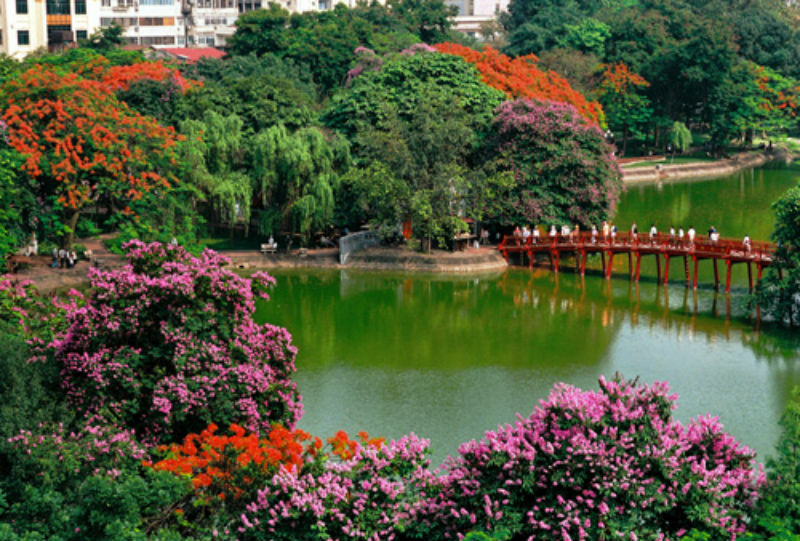 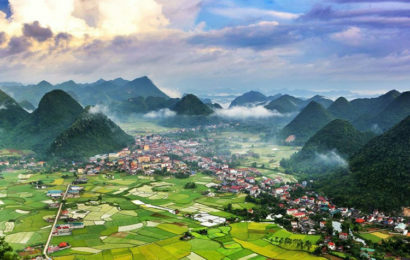 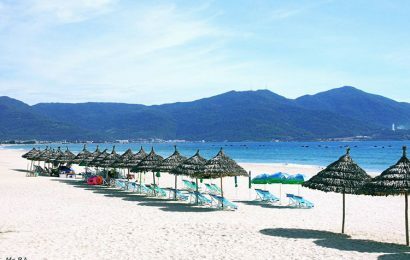 This place has many beautiful attractions to both the people and tourists. 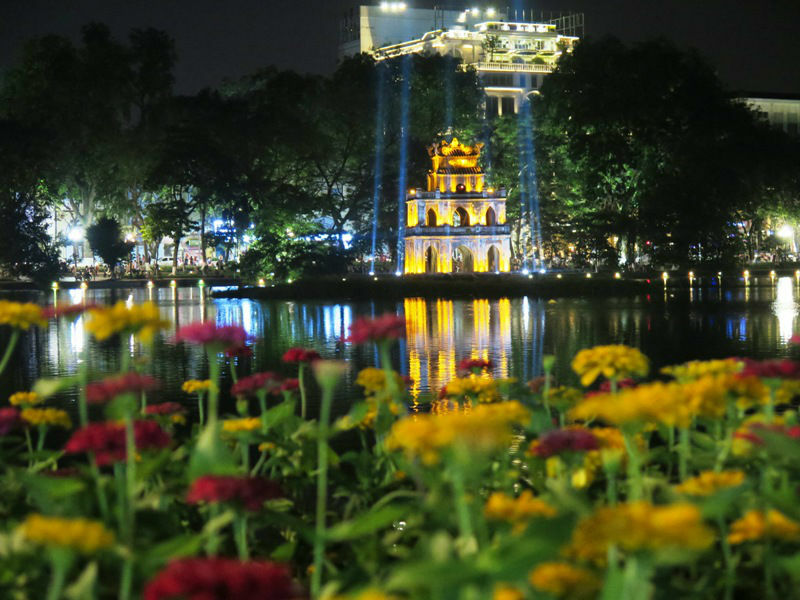 From the clear blue water to the old turtle tower to the cool trees and beautiful flower garden. 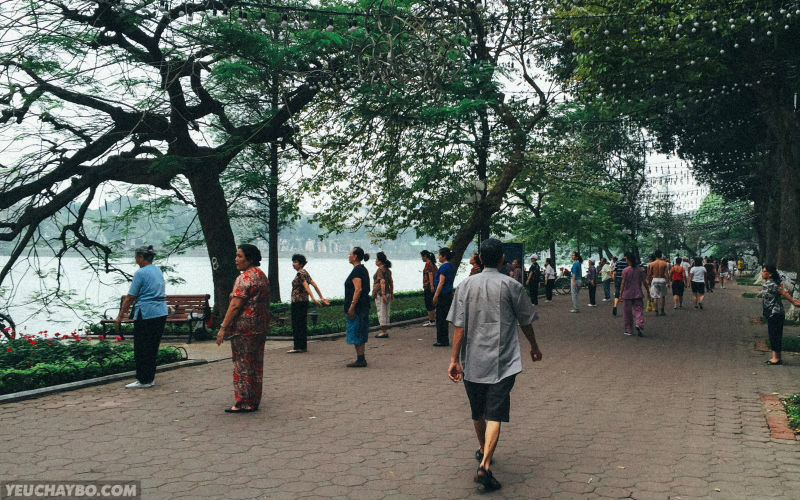 This is an ideal exercise space with spacious and airy space. 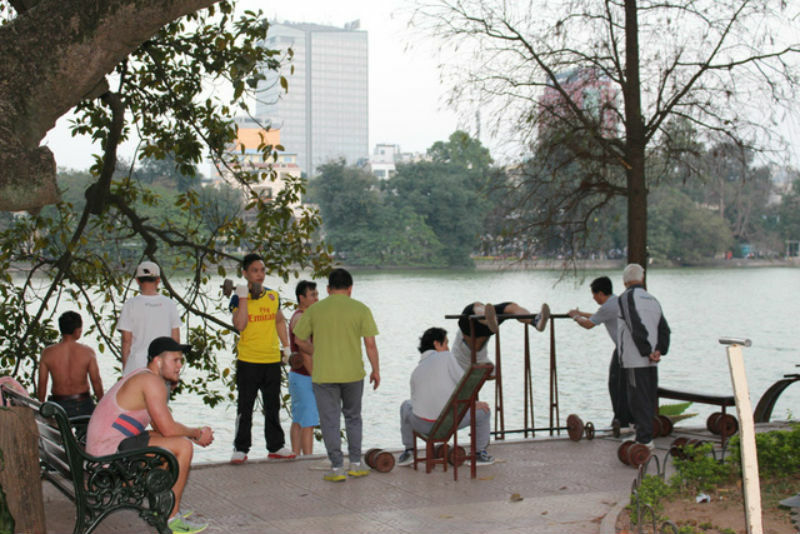 In the early morning you can catch a crowded and bustling lake abundant of exercise. 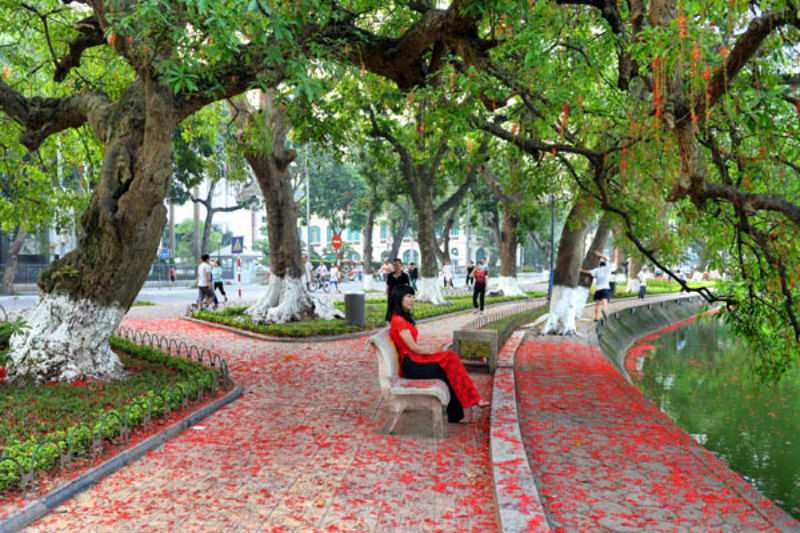 It is also a good place to take pictures. 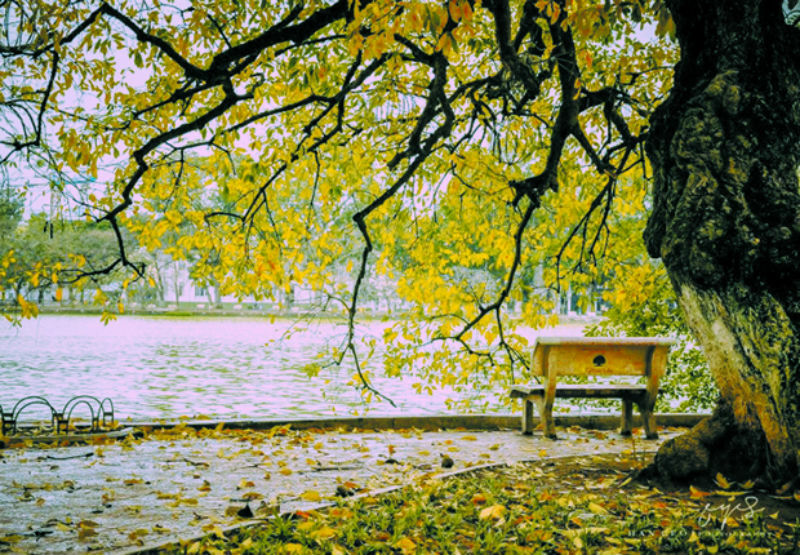 You can find more information about history and information about the lake in our writing. 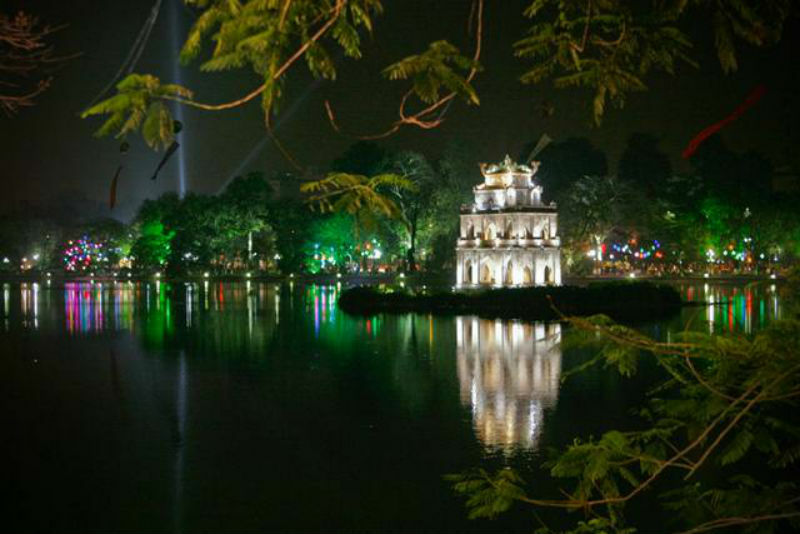 The night is becoming brighter and more glamorous due to the lights and activities. 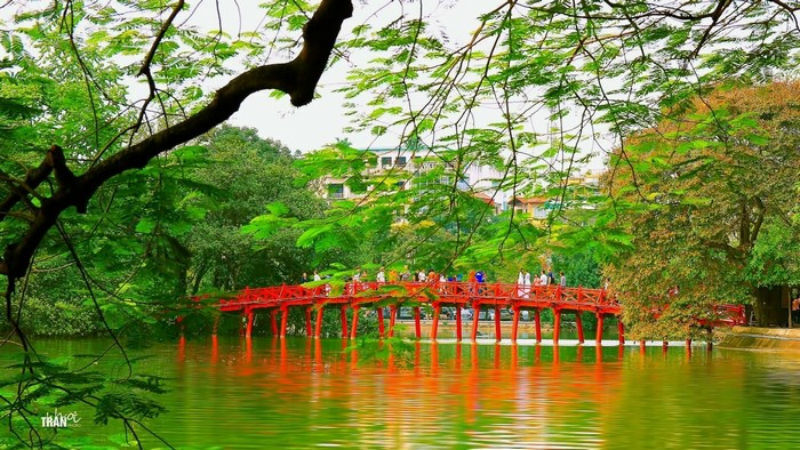 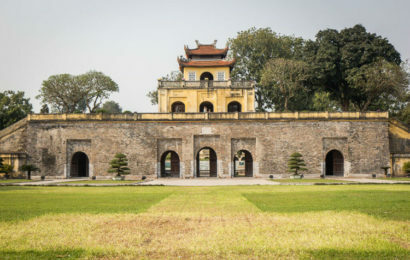 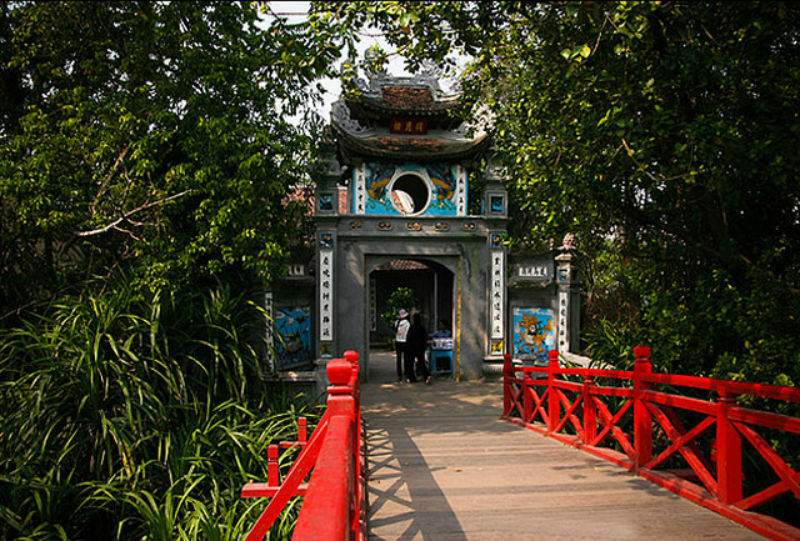 Situated on the lake, there are also many other beautiful sights are The Huc bridge, brightly red bridge and Ngoc Son pagoda, the temple is full of ancient and studious. 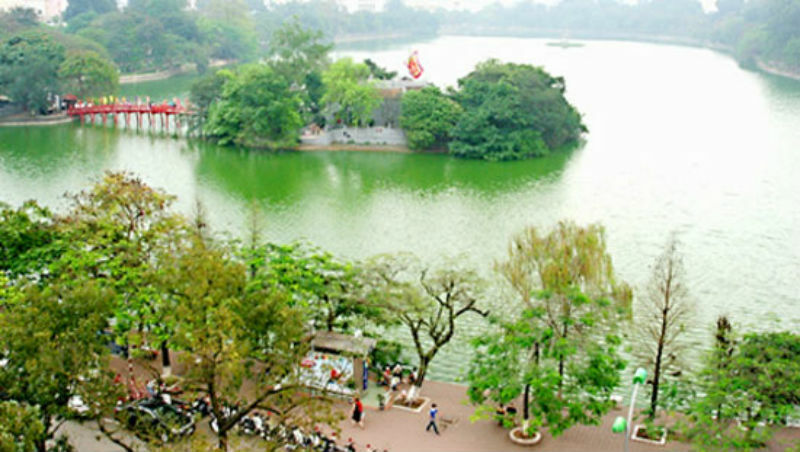 From these photos hellovietnam24h.com hope you have a view of beautiful Hoan Kiem Lake.